You are invited to participate in a survey focused on prioritizing collaboration around Reliability Best Practices and Benchmarking. If you’re not the correct person within your organization, please pass this invitation to the appropriate person. Survey deadline is October 31. The Reliability Working Group (RWG) of the Global Mining Standards and Guidelines Group is an operator focused group whose purpose is to promote knowledge and best practices sharing related to reliability in a mining context. 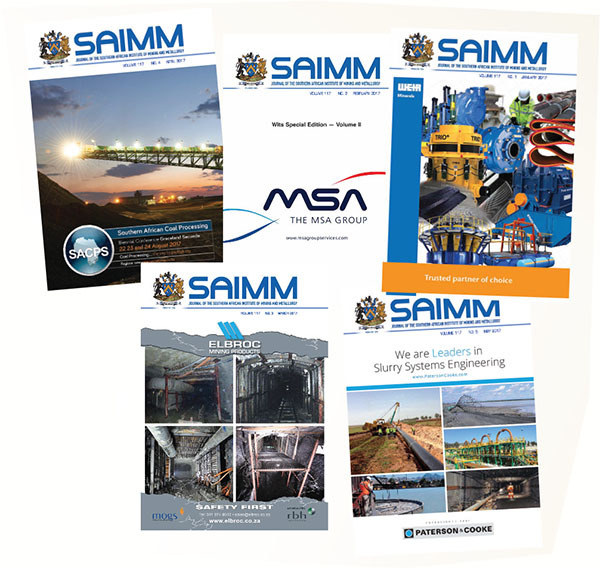 We are excited to announce that the SAIMM Online Journal system is now live! You can now submit manuscripts and peer reviews online. The OJS assists you with every step of the refereed publishing process, from submission through to online publication. Authors can also check the status of their papers online and referees will receive automated reminders for their reviews. 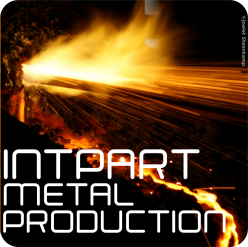 The INTPART Metal Production Project aims at strengthening ties and growing networks internationally through joint research and education projects. The three-year project is hosted by the Centre for Research-based Innovation (SFI) and funded by the Norwegian Research Council (NRC) and NTNU. The participating institutions are NTNU and SINTEF in Norway, and MINTEK and the University of North-West (NWU) in South Africa. The two focus areas of the project are fundamental reaction mechanisms for reduction processes and the use of carbon materials in metal production. The project resulted from the two SAIMM Schools on Manganese Ferroalloy Production hosted in 2012 and 2016. 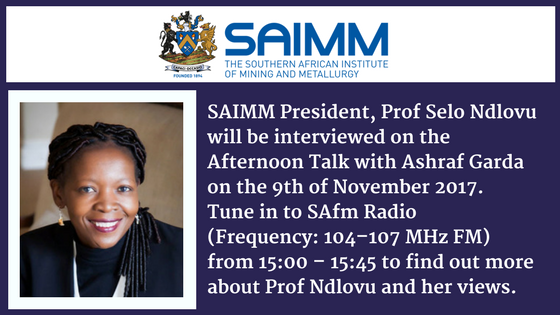 On the 17th of August 2017 Prof Ndlovu was inducted as the SAIMM President for 2017/2018. The students and members attending the AGM welcomed her as president with applause. 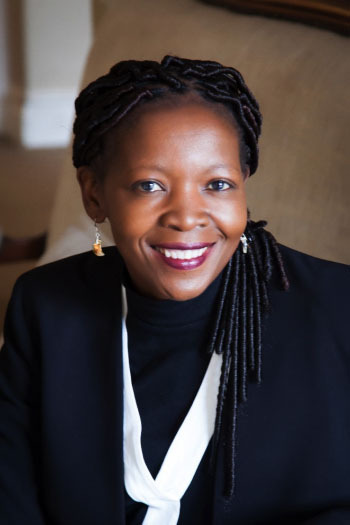 Prof Ndlovu is the second female president in SAIMM history. Although collaborative partnerships between universities and the minerals industry have been ongoing for ages, the potential benefits that can be realized through such partnerships have become increasingly important and are more relevant now than ever. This is because the growing complexity of problems such as the depletion of rich and easy-to-treat ore deposits, rising production costs, water issues, and stringent environmental regulations, coupled with increasing economic pressure and hence budget cuts, has made it more difficult for companies to do all the necessary research in-house in order to remain globally competitive. Similarly, universities are continually faced with challenges such as a lack of steady financial support for their research and training programmes, as well as the need to have their research commercialized or applied to solve existing industry problems so as to enhance their reputations. After serving as YPC Chairperson since the establishment of the YPC two years ago, Tshepo Mmola (right) hands over to the YPC Chairperson 2017/2018 Sihe Nhleko (left). 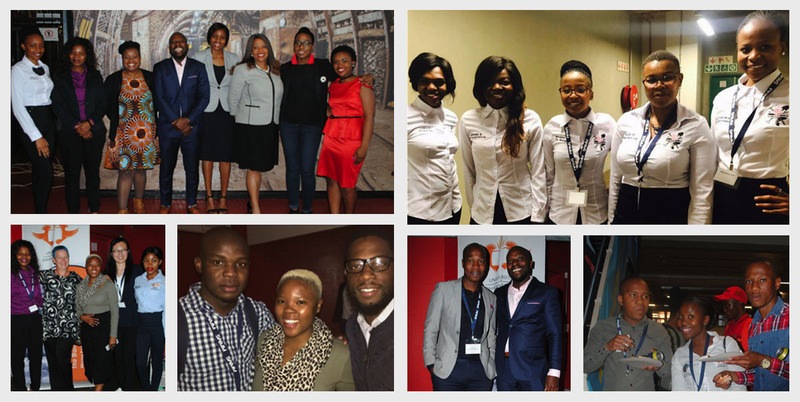 Many impactful projects and events have successfully been implemented by the YPC in the past two years including a Graduate Employment Database, the Mentoring Programme, Soft Skills Workshops, an annual Career and Leadership Day and highly successful conferences such as the Entrepreneurship in Mining Forum and the Young Professionals Conference. 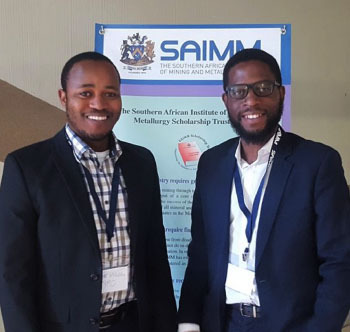 The SAIMM is adopting a new system to manage the publication of the Journal. The Open Journal System (OJS) for journal management is a free, web-based platform that has been developed by the Public Knowledge Project at the Simon Fraser University in British Columbia through its federally funded efforts to expand and improve access to research. Our present system of handling the submissions to the Journal, the refereeing process, and the iteration that takes place between authors, reviewers, the Journal Coordinator, and proofreader is by e-mail, telephone, and paper. For South Africa’s communities to become economically active, it is essential that they have access to information and communication technology (ICT). The long-lamented ‘digital divide’ remains alive and well, but an increasing number of companies are realizing the benefit of fast-tracking digital access for their workforce and neighbouring communities. CanPro, a provider of digital workplace development and monitoring solutions, recently assisted mining company Ivanplats to do just that. Ivanplats’ Platreef platinum, gold, and nickel mining project is based in Mokopane, in South Africa’s Limpopo Province. Its operations are at the heart of a large community marked by socioeconomic challenges such as youth unemployment. At its meeting of 21 July 2017 your Council noted concerns expressed by some of its members regarding the Government Gazette No. 40989 that is open for written representations to reach the Department of Mineral Resources (DMR) by no later than Friday, 4 August 2017. Council resolved that this matter does not fall within the ambit of the SAIMM’s objectives and mandate and the SAIMM will therefore not be making any written response to the DMR. However, any of our members who would like to make a written representation are encouraged to do so in their personal capacity.